Now a days people are going for plastic tanks. extra care need to be taken while constructing to avoid any leaks. 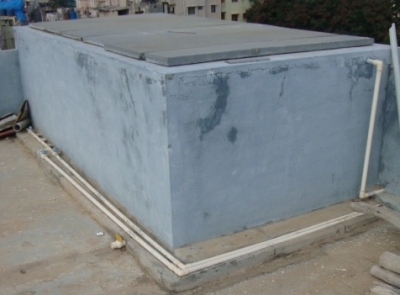 Use water proofing material by taking your engineer advise. In case if you are constructing tank put two or three layers of concrete while constructing sump that will avoid cracks. In below picture they kept three concrete layers. When ever you are placing a tank on a metal base don’t forget to keep tank in flat surface. like shown in below picture. 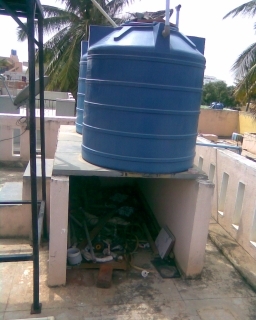 In below picture tank was placed on kadapa stones.